A Sentry Health Insurance Company review leads to Sentry Insurance. 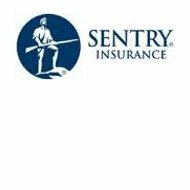 Founded in Wisconsin in 1904, Sentry Insurance has become one of the strongest insurance companies in the industry. With over one million policyholders, Sentry offers both individual and business insurance policies to cover many areas of need. If you are looking for personal health insurance, you can enter your zip code in the free box now to receive rates and quotes from top insurance companies! Qualified agents are licensed to sell insurance policies in several states. Individuals can purchase policies through the website or by contacting a Sentry Insurance agent and each policy is customized as needed. The auto insurance offered by Sentry is the most popular type of insurance that is sold through Sentry. Car insurance provides a way to balance the risk of driving between the driver and the insurance company. Sentry car insurance plans include collision, comprehensive, state mandated coverage, and additional options for those who need more coverage. Sentry homeowners insurance is for those who own a house or a condominium. It protects personal possessions as well as the building itself. Boat, motorcycle, and recreational vehicle insurance from Sentry helps individuals insure some of the fun things in life. All three policies cover the vehicle itself and personal liability should an injury occur. Life insurance policies from Sentry Insurance are available as term life, whole life, or annuities. Both whole life and annuities have a dual purpose in that they serve as both a investment tool and a life insurance policy. Term life insurance policies are strictly for life insurance and provide coverage for the term specified either 15, 20, or 25-years. Sentry Insurance also provides employee benefits and life insurance for employers to offer to their employees. Sentry benefit packages are meant to provide a way to attract and retain employees. Statistics show that the number one reason individuals take a job or remain with a job is because of the benefits. Sentry employee benefits include dental, life, and retirement. When a business chooses to use Sentry Insurance for their employee benefit program, they receive claim service, support, and one on one guidance from Sentry Insurance directly to the human resources department. This means that companies do not have to troubleshoot on their own and employee questions can be answered quickly and effectively. Sentry also provides direct access to retirement accounts through their website. This way both employers and employees can find out information about retirement plans, make changes, and ask questions. Direct access gives individuals peace of mind and gives employers the ability to work on retirement issues on their own schedule. Sentry Insurance is headquartered in a small town called Stevens Point in the heart of Wisconsin. Stevens Point has been named one of the top one hundred places to live in the United States. This is one of the reasons the headquarters has remained in Stevens Points so employees have a great place to raise families. These offices also have jobs available. Sales representatives, accountants, and support assistance are always in need as the company grows. Sentry Insurance actively recruits qualified, hard working agents as well. In exchange for working at a great company, Sentry Insurance provides benefits, training and development opportunities, and internships opportunities for college students and graduates. Prior experience in the insurance field is not required, though some positions do require a college degree. To find out more about Sentry, you can visit the Better Business Bureau at http://bbb.org/. If you are looking for personal health insurance, you can enter your zip code in the free box now to receive insurance rates and quotes from several top insurance companies!